or you’ll be singing “Hello Walls” on Valentines Day 2006. 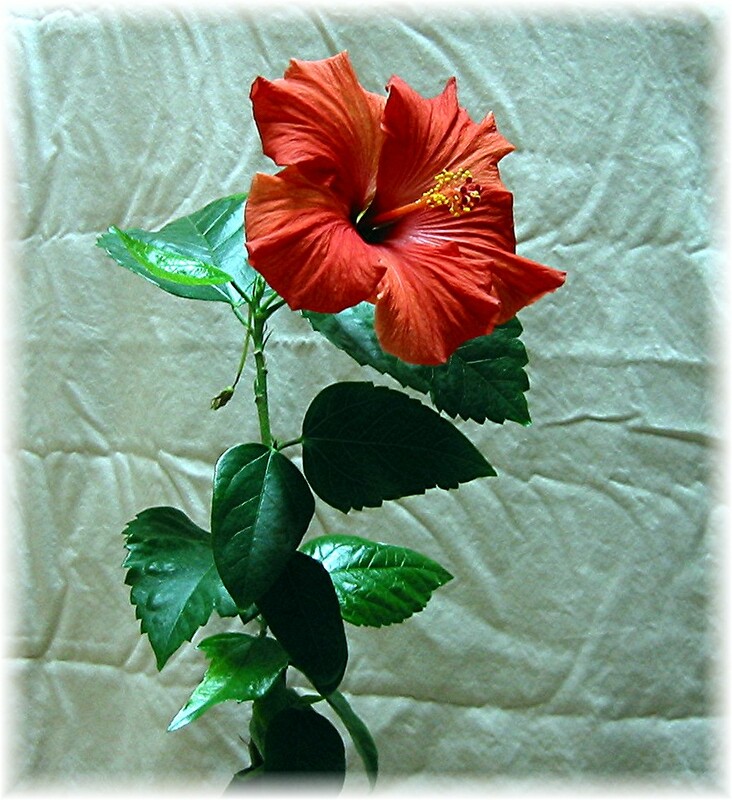 A red hibiscus, it’s the official flower of Hawaii. Common enough to be used as hedges. Lush enough to form 20 foot tall walls of flowers. Dat’s some nice hedges, bro! or you’ll be hurtin’-4-certain in less than 2 weeks.